Alex Toys Creative Center Just $95.44! Down From $242! PLUS FREE Shipping! You are here: Home / Great Deals / Amazon Deals / Alex Toys Creative Center Just $95.44! Down From $242! PLUS FREE Shipping! At Amazon, you can score this Alex Toys Creative Center for just $95.44 down from $242 PLUS FREE shipping! 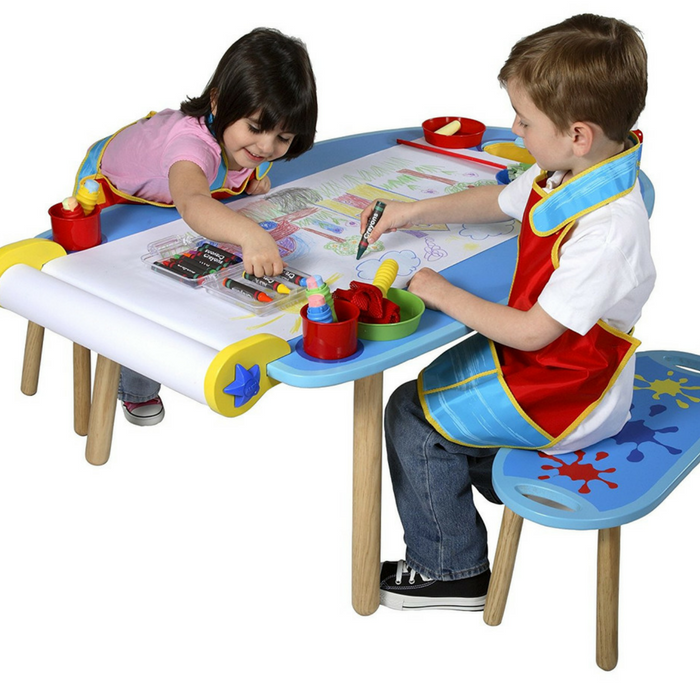 An awesome art table for 2! This is the perfect place for little ones to let their imaginations run wild! This 4′ long by 2.5′ wide by 18in. high table features a chalkboard tabletop and 2 benches that each measure 2′ long by 10″ wide by 11″ high. A paper roll holder with 18″ wide by 75′ long white paper roll, paper cutter, canvas storage bag, 2 cups for markers, crayons and brushes are all included!